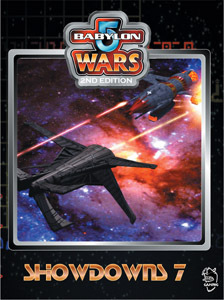 If you need a CD-ROM (only) from this product, see the Miscellaneous & Sale Items page. 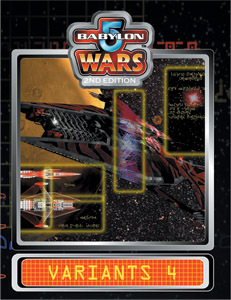 REINFORCEMENTS: Additional counters and maps for either Babylon 5 Wars or Fleet Action! This product includes one of the blue 42x30 hex maps from the Core Rules Boxed Set, plus 4-5 additional different color countersheets (depending on what's on hand) plus the white generic one from the old boxed set. 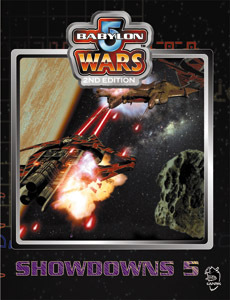 BW-106 COMING OF THE SHADOWS - The younger races have taken matters into their own hands, and are battling the First Ones head-on! 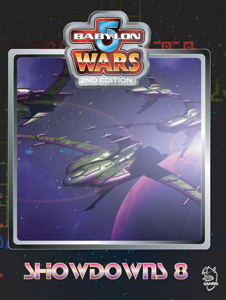 Who will clench victory in the ultimate battle for the very future of the galaxy? 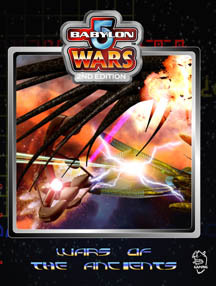 Inside you'll find the most requested (and most powerful) ships to date from both the Shadow and Vorlon fleets, plus the Shadow-modified Omega and even the ships of the Ancient Ones! The final word in the battle between the Forces of Light and the Shadow threat! 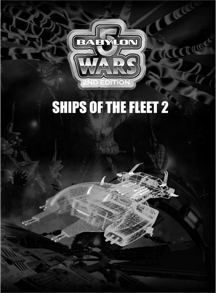 Includes full color rulebook, separate ship book, and color countersheet. 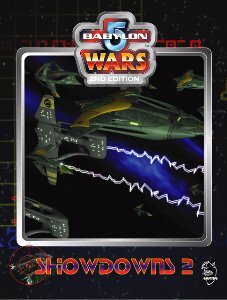 BW-109 RAIDERS AND PRIVATEERS - This 96-page book includes information on not only the Raiders, but also the Belt Alliance (a civilian freight defense organization), Police Forces (for those races published to date), and a new "pirate race," the Llort! Also provided are numerous civilian ships, such as freighters, tugs, barges, tankers, escorts, liners, and the like. 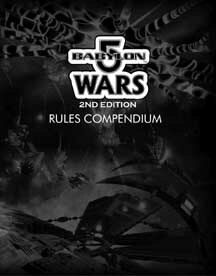 We've also included rules and background material (plus a few ships) for several large Raider bands, such as the Indpendent Mercenaries League and the Tirrith Free State. 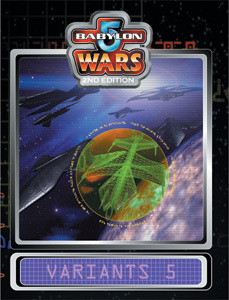 Not to mention the usual assortment of scenarios, weapons, rules, and everything else you love about B5 Wars supplements! 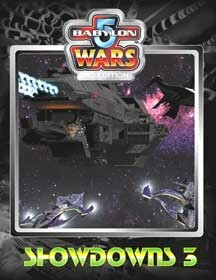 BW-157 VARIANTS-1 - New ship designs based on existing hulls, mostly as suggested by AOG's fans. This book was sold out for some time, but a few have recently resurfaced. 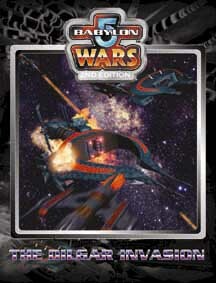 BW-159 VARIANTS-3 - The Dilgar Invasion continues with this all-new set of variants of your favorite Dilgar era ships and fighters! 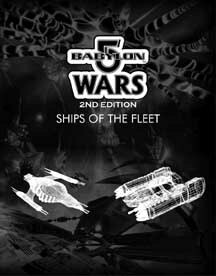 This 48-page supplement includes over 35 new designs based on ships originally seen in THE DILGAR INVASION (BW-103) and elsewhere. 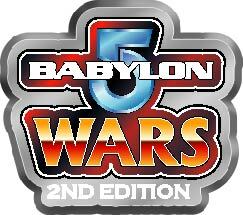 Races represented include the Dilgar, Earth Alliance, Abbai, Brakiri, Vree, Markab, and Llort, plus a few extra surprises. As usual, most designs found herein were suggested by YOU, our loyal fans! So come check out the kind of variants people like you can dream up - and use them against your friends! 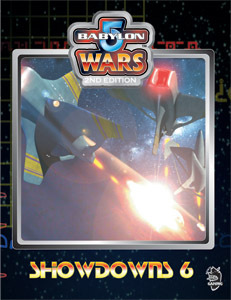 BW-170 TACTICS GUIDE - Written by the experts, this book tells you everything you need to know to achieve victory in Babylon 5 Wars! 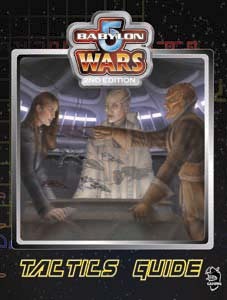 From the most basic tactical gambling advice to fighter combat and fleet selection, the Tactics Guide is a must for new players and veterans alike. 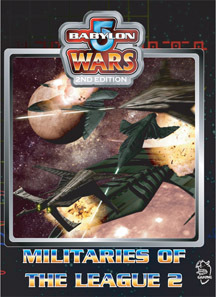 Includes specific tactics for nearly every ship in the game, along with race-specific essays for the Earth Alliance, Minbari Federation, Centauri Republic, Narn Regime, Dilgar Imperium, and more!